When I think Tampa weddings, so many images immediately flood my mind. 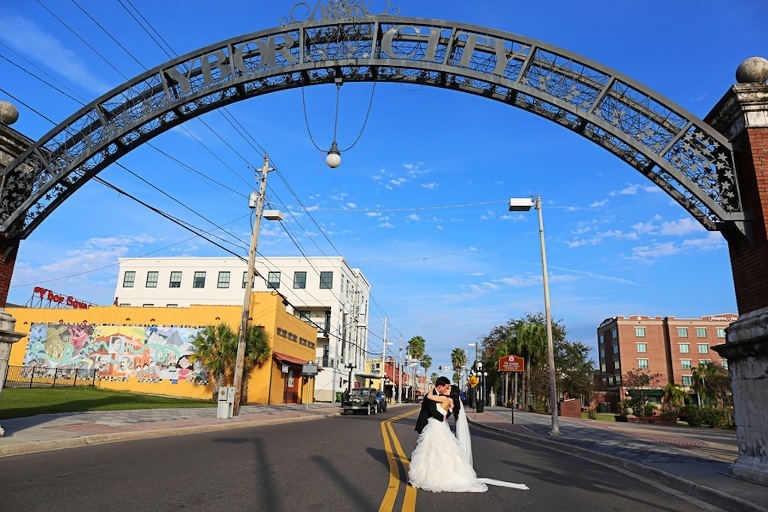 From historic Ybor City to sprawling views from Bayshore Boulevard, iconic locations perfect for your wedding photos can be found all over the city. The historic Floridan Palace hotel lights up Tampa’s skyline with their iconic red lettered sign. 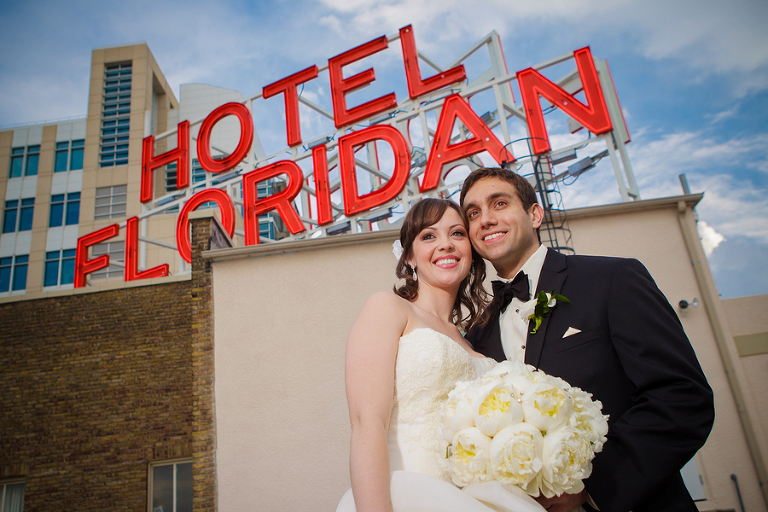 Built in 1926, the downtown Tampa wedding venue reopened its doors to brides and grooms just a few years ago. It’s 10,000 square foot, two story Grand Ballroom is the perfect spot for a classic, elegant wedding. Ybor City packs more cultural and history into a few square miles than any other Tampa neighborhood. The Downtown Tampa neighbor is one of only two neighborhoods in Florida to be designated a National Historic Landmark District. Known as Tampa’s Latin Quarter, Ybor City is full of interesting architecture, which equates to memorable wedding photos. No location in Tampa allows for views like the Tampa Club. Overlooking Tampa Bay from atop the 41-story Bank of America building, the business, social and dining club has been favored by prominent Tampa families since 1981. For those couples who are not members, you don’t have to be on an elite list to host your wedding here. 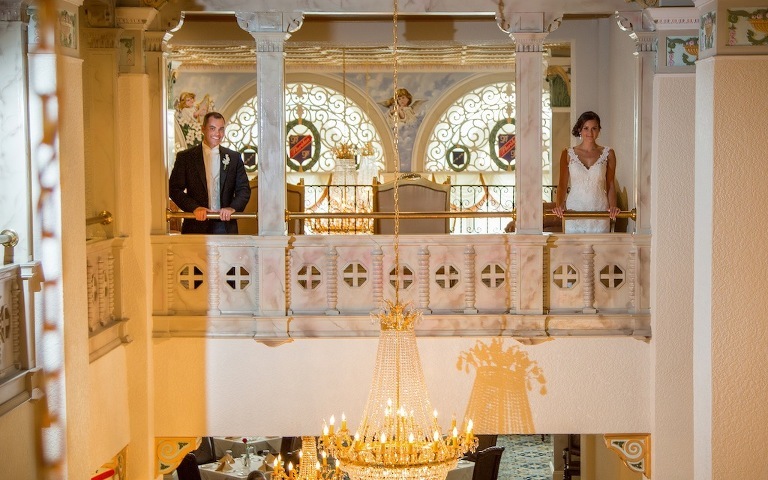 The University of Tampa’s unique architecture solidifies itself as an iconic Tampa wedding location. The grounds include Plant Hall, formerly the Tampa Bay Hotel, which hosted Teddy Roosevelt, the Queen of England, Stephen Crane and Babe Ruth (who signed his first baseball contract in the hotel’s grand dining room).